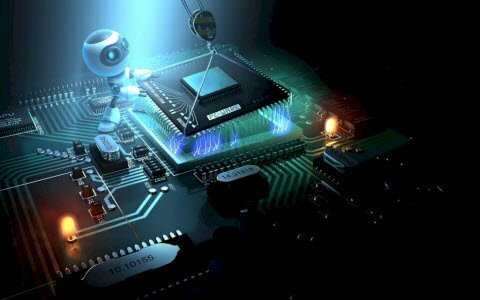 How to Make a Blinking LED using a 555 Timer IC? 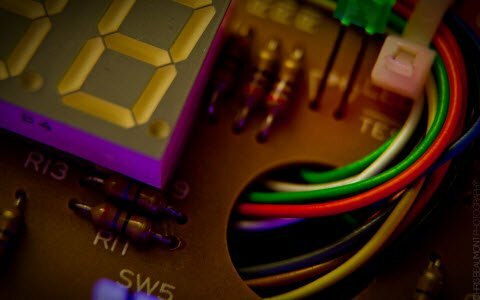 This article explains the circuit design for blinking LED using a 555 timer IC. This is a simple circuit designed to explain the working and use of a 555 timer IC. 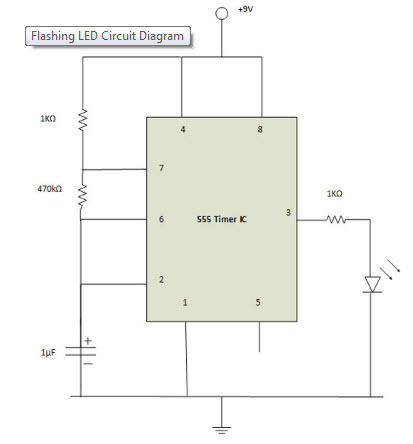 This circuit is designed using a low power consumption output device, a red LED. There are many applications of 555 timers, generally used in Lamp Dimmer, Wiper Speed control, Timer Switch, Variable duty cycle fixed frequency oscillator, PWM Modulation etc. The following circuit design explains the design of the blinking LED (Light Emitting Diode) with the 555 timer IC. Here in this configuration, the 555 timer IC has connected in an Astable mode of 555 timer operation. 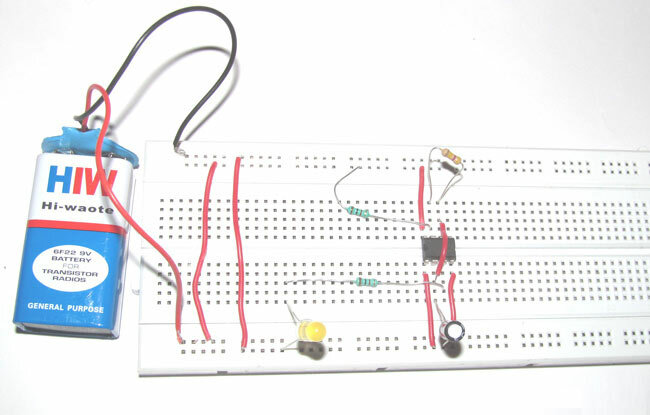 Collect all the required components and place the 555 timer IC on the breadboard. Connect pin 1 of a 555 timer IC to the ground. You can find the pin structure of a 555 timer IC in the circuit diagram shown above. The longer lead of a polarized capacitor is the positive and the shorter lead is negative. Connect pin 2 to the positive end of a capacitor. Connect the negative lead of the capacitor to the ground of the battery. Now short the pin 2 to pin 6 of the 555 timer IC. Connect the output pin 3 with the positive lead of the LED using a 1kΩ resistor. 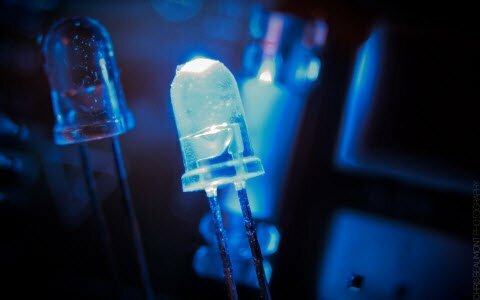 The negative lead of LED needs to be connected with the ground. Connect pin 4 to the positive end of the battery. Pin 5 does not connect to anything. Connect pin 6 to pin 7 using a 470kΩ resistor. Connect pin 7 to the positive end of the battery using a 1kΩ resistor. Connect pin 8 to the positive end of the battery. Finally, connect the battery leads with the breadboard to start the power supply in the circuit. 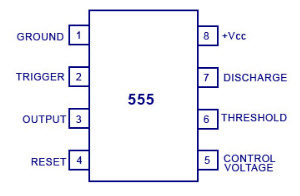 555 timer IC is used to create time difference in various applications. The Blinking LED circuit uses a 555 timer in astable mode, which generates a continuous output in the form of a square wave at pin 3. This waveform will turn LED ON and OFF. The duration of ON/ OFF depends on the time cycle of the square wave. 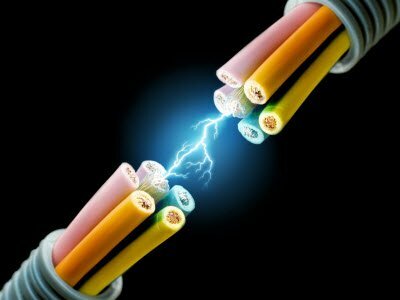 We can change the speed of blinking by changing the value of capacitance. Astable mode means there will be no stable levels at the output. Thus the output will fluctuate from high and low. This character of the astable output is used as a clock or square wave output for many applications. 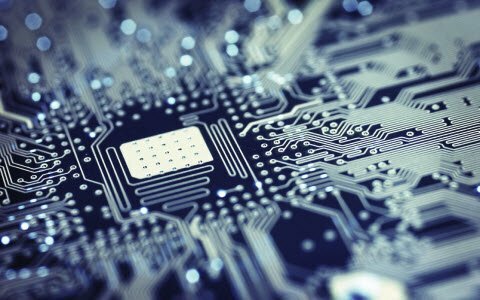 The external components should be selected properly so that the timing intervals can be done in several minutes along with the frequencies exceeding several hundred kiloHertz. The maximum power dissipation per package is 600 mW and its trigger and reset inputs has logic compatibility. Thus, this is all about making of Blinking LED using a 555 timer IC. We hope that you have got a better understanding of this concept. 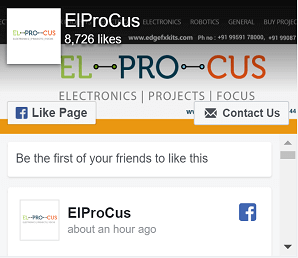 Furthermore, any queries regarding this topic or 555 timer based projects, please give your valuable suggestions by commenting on the comment section below.